CountryWatch is an online resource that provides up-to-date news and information on 195 countries of the world. In each CountryReview you will find detailed reports covering the culture, economics, environment, politics, and history of each country along with a real-time news feed from various international news sources. 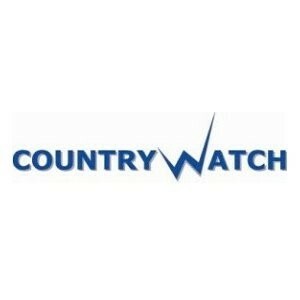 Additional CountryWatch resources include: CultureWatch - providing condensed country reports and cultural information; Elections Central - covering elections around the world; Country Profile Videos - short documentaries on 35 high profile countries; CountryWatch Forecast - providing 5 years of historic and 20 years of macroeconomic, energy, metals, and agriculture forecast data. Click "Visit Website" button above to see member discount details. Login required.